There are a few different types of interactive whiteboards including the SMART Board and Promethean. Both of these tools connect to a computer and allow users to manipulate objects on the screen. Interactive whiteboards can be mounted on a wall or wheeled into a room as a freestanding object. They connect to a computer through a laptop or desktop’s USB port. This type of technology tool lets teachers design interactive lessons where students can drag and drop objects on a screen, or manipulate any type of information on the screen using their hands or a stylus. Replacing transparencies and wet-erase markers, document cameras like an ELMO are powerful educational tools. Teachers can place anything underneath the document camera that they want to magnify and show it off to their whole class. This could be something as simple as an activity sheet or page from a textbook. Teachers can use a document camera to model problem solving strategies with math manipulatives or zoom into a rubric when going over project expectations. Libraries and media centers are incorporating exciting new technology into their learning environments. Everything from 3D printers to smart toys are popping up in these spaces. You may find that this is true of your school library, local library, or community center. Some schools are now allowing students to use their smartphones in class during the school day. Teachers are harnessing the power of apps like Socrative or web tools like Poll Everywhere to assess and engage teens. Students can be sent reminders to complete assignments on time and families can stay up to date on announcements with alerts sent straight to their phone. 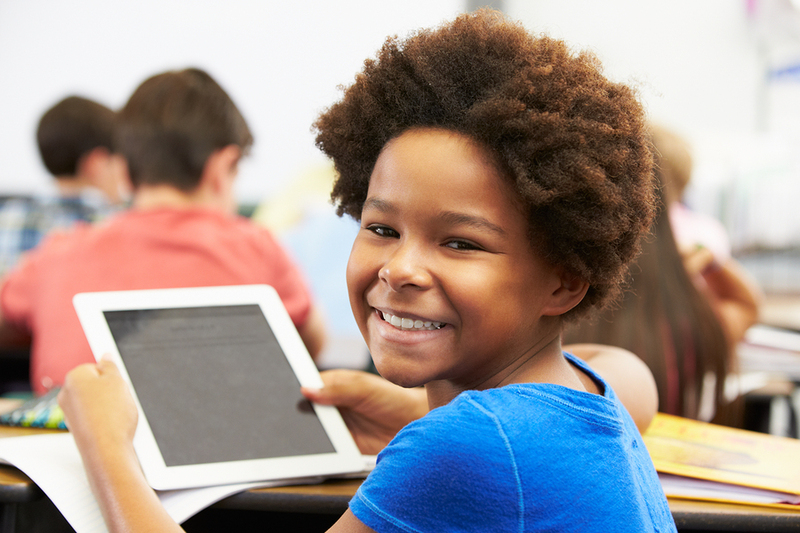 iPads are just one popular example of the type of tablet technology being introduced into the classroom. Between the App Store for iOS devices and the Google Play Store for Android tablets, there are tons of mobile apps that are perfect for the classroom. Teachers are incorporating content consumption and content creation apps like Explain Everything and Book Creator into their lessons throughout the content areas. With plenty of apps to choose from, tablets are being used as instructional and assessment tools by teachers, while students are filming, collaborating, and submitting work straight from their device. What type of technology do you want to try out this school year? Share your thoughts below!